Chygrynskiy has stirred the waters again as he posits that Ronaldo is not the best player in the world because he is selfish unlike Messi. 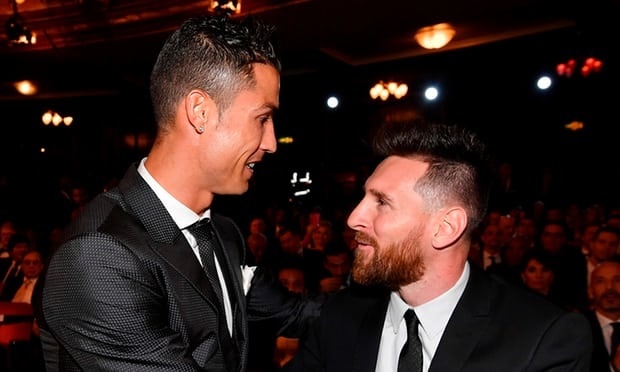 Cristiano Ronaldo recently picked the FIFA Best Player Award in London but the debate on whether he is actually better than his arch-rival Lionel Messi will just not go away. Barcelona defender Dmytro Chygrynskiy has stirred the waters again as he posits that Ronaldo is not the best player in the world because he is selfish unlike Messi. Chygrynskiy – who spent a year alongside Messi at Camp Nou in 2009-10 before returning to Shakhtar Donetsk – heaped praise on his former Barcelona team-mate. "Cristiano is a good scorer, but he is not the best in the world because he is selfish," Chygrynskiy, now playing for AEK Athens, told Cadena Ser. "Messi is different, he always thinks of the team." Ronaldo, 32, has had trouble scoring this season, finding the back of the net only once in seven LaLiga appearances for reigning champions Madrid. Messi, meanwhile, tops the goal scoring charts with 12 to help Barca lead the league by four points and eight clear of Madrid. ALSO WATCH: Bounce Sports Ep2: Is Something Wrong At Chelsea?